2018 looks to be a great year to sell your company or invest in growth plans and you may find yourself thinking that it’s time to make a move. If so, then you’re in the right place because this blog discusses the importance of financial reporting to the process of either selling a company or raising capital for future growth. Before you press the “start” button, you should recognize that it is a complex process to sell a company (or obtain growth capital) and today’s buyers and investors are more careful than ever before. They look more closely at the companies they seek to purchase. Buyers and investors are interested in the future potential of a business and it is imperative that you, as the business owner or seller, present a solid picture of your company’s past performance as well as its future potential. One of the most important barometers of a company’s success is its financial health. And the fastest way to judge financial health is to review the previous three years of financial statements. And while this seems rather straightforward and simple, this is one aspect that unfortunately, trips people up even before they begin. For any business owner looking to sell a company, or raise growth capital, accurate financial reporting is critical. Proper financial reporting provides valuable insight into a business that lenders and investors require. Without financial information those lenders and investors will be unable properly assess the business’s ability to provide the desired return on investment which they seek. Not long ago I was engaged in a sell-side deal to sell a retail business that initially appeared to be “on fire” with customers coming and going all day long. But we began to conduct our own due diligence and gather more detailed documents to attract potential buyers and investors, we learned the financial statements were only completed on an annual basis and, and, they were inaccurate. This discovery required us to halt the process and the business as not yet been sold. A well-run business closes its books and provides financial reporting on a regular monthly schedule. This small but important activity presents a lower risk profile and appeals to lenders and investors. If you want to attract buyers and sell your company or attract investors to provide growth capital, you absolutely need monthly financial reporting and forecasting. Let’s see how and why monthly reporting is beneficial to your business. When we talk about monthly financials, we mean accrual basis of accounting, not cash basis of accounting. Under accrual basis of accounting a company’s revenues are reported on the income statement when they are earned and expenses recognized when incurred. Whereas under the cash basis of accounting, revenues are recorded when the cash is received and expenses are recorded when the cash is paid. Accrual basis accounting is the standard approach to recording transactions for larger-size businesses. It provides a more even or balanced recognition of revenue and expenses over time. Because of this, it is considered a more valid accounting system for evaluating the operations and cash flows of a business. It results in an income statement that better measures the profitability of a company during a specific time period. Small businesses may use the cash basis of accounting because it requires less accounting expertise. It allows for the manipulation of the timing of cash inflows and outflows. This can create a lower taxable income amount and then a deferral of income tax payments as a result. A statement of cash flows is another financial statement that should be created on a monthly basis by a business. This statement describes the cash flows into and out of the business. It highlights where the company’s cash has been generated and where it has been invested. Cash flow statements help business owners and leadership teams to manage the business more closely. Importantly, any investor will want to understand the businesses ability to make monthly debt payments. In addition, potential buyers will also want to understand the amount of free cash flow available so they can better understand the amount of cash that can be invested in the business to accelerate growth. The three most important financial statements are listed below. Any potential buyer or investor will want to see these documents on a monthly accrual basis for a period of about three years when they speak with you about buying your company or lending you capital for future growth. 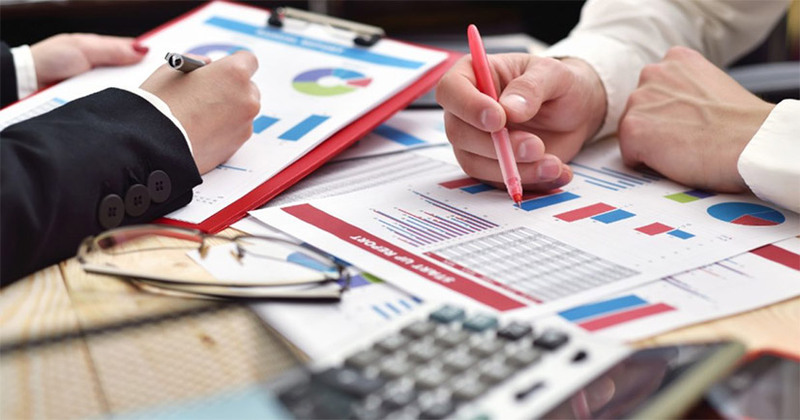 Financial reporting also provides the leadership team with information that can help guide business decision making and effectively run the business. In my opinion, every senior manager should receive the monthly financial details about the company’s performance. This can take the form of an electronic document, or a dashboard, but it should contain the vital metrics deemed appropriate to measure your company’s success. This information will help your leadership team better understand how their area of responsibility impacts the company and how they can manage their team’s success. Is the company profitable and are we successfully managing the business? How much cash “runway” does the company have? Does the company have enough capital to invest in a new business area? Can the company expand by hiring additional employees? It is also helpful that you understand your business value and its value drivers. If you understand your company and its potential value in a merger, then you will gain more respect and attention from buyers and investors. The basis for your business value and its value drivers comes from the data in your financial reports. Accurate and timely financial statements and reporting provides the leadership team with a number of metrics that offer insights for improving the company’s operations, for increasing the company’s income and for reducing expenses. These financial statements also assist you in doing your own version of due diligence, or “pre-due diligence” so you can remedy issues or account for them as they are found by a potential buyer or investor. The more you and your leadership team know about your company, the more likely it will be profitable and attractive to potential buyers and investors. As you seek to attract growth capital or sell your company, serious investors or buyers will want to see the financial future based upon a solid understanding of historical performance. You know your business best and are in an ideal position to share your insights for future growth opportunities. Your business forecast provides one element of that look into the future. By utilizing past performance you and your team can create a sound monthly forecast that can be rolled up quarterly and annually for review by potential buyers and investors. Your reporting of the historical monthly financial performance helps you and your team develop a high quality and defensible forecast. Monthly forecast projections based on sound assumptions are the roadmap to future success. Most banks look at historical results while non-bank lenders/investors take into account the businesses potential with the new capital invested. All investors, whether debt or equity, will want to see a return on the capital invested statement. 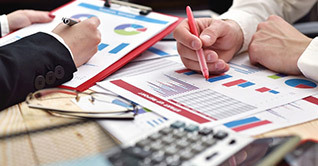 The monthly reporting of financial information is the lifeblood of any company. It provides detailed insights into the company’s financial dynamics and helps senior leadership direct their teams and accomplish goals. Financial information also provides potential buyers and investors with the assurance that the company is performing well and is capable of meeting investor expectations. At Illes Investment Banking we seek to work with middle market companies and assist with their sell side, buy side and capital raise needs. In all cases, the ability to present past monthly detail that substantiates a forecast of future performance helps to reduce the perceived risk in a transaction. This thereby lowers the cost of capital and increases company value. So take the time to establish a monthly reporting of your businesses financial performance. And give us a call if you would like to learn more about selling your company or finding growth capital. Don’t miss any opportunity to improve your business and capture your future. John Illes created Illes Investment Banking as an online presence to increase awareness of how investment bankers can effectively help middle market business owners sell their company. John is Managing Director with Merit Harbor Capital, a leading boutique investment bank focused on middle market companies. John, and the team at Merit Harbor Capital, have owner/operator experience and have walked in your shoes. They understand your needs better than traditional investment bankers with only a financial background. Financial reporting is just way to make your business more valuable to potential buyer and investors. We’ve prepared a checklist that can provide more detail if you are thinking about selling your company or seeking capital to grow. The checklist is available at no cost to you. Just visit our website to download your copy today.